Grade Lvl: T Author: Simpson, Richard L.
Offers parents and school professionals advice on how to select and apply appropriate, effective interventions and treatments for children with Autism Spectrum Disorder. Evaluates over 40 commonly used and purported interventions and treatments. 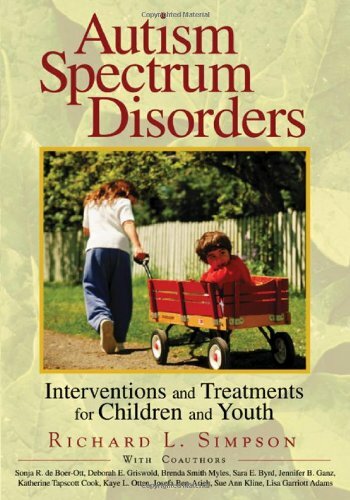 Includes a description of the intervention or treatment; reported benefits and effects associated with its use; a synthesis of how the outcomes relate to individuals with ASD; and potential costs and risks.